It’s probably not surprising that I take a tough love approach here. When you have teenagers and adults so overcome by a sense of entitlement that they think they deserve 15 dollars an hour to flip burgers at Wendy’s, I think tough love is the only kind that works. 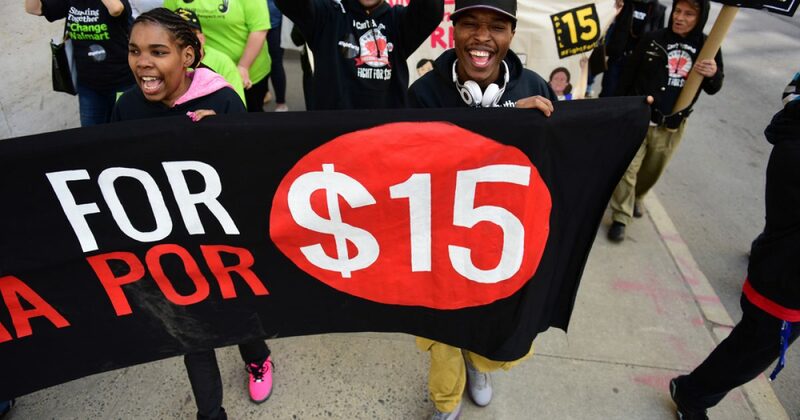 Last week, fast food workers across the country again played hooky from their jobs so that they could march and hold signs and demand a 100 percent pay increase for no reason. Rather than just roll my eyes at them, which is how grown ups often respond when kids throw temper tantrums, I’ve decided to try and help them. My attempts here are completely sincere. It seems that some of these people really don’t understand how to improve their station in life, which is why they think the government ought to do it for them. So, to alleviate this confusion, I’ve compiled a helpful step-by-step guide explaining how an entry level fast food employee might achieve the higher wages he desires, without waiting for the State to snap its magical fingers and force his employer to pay him more than what some highly skilled auto mechanics make for a day’s work. Not to spoil the whole post, but the first two steps are: 1) Go to work. 2) Work hard.